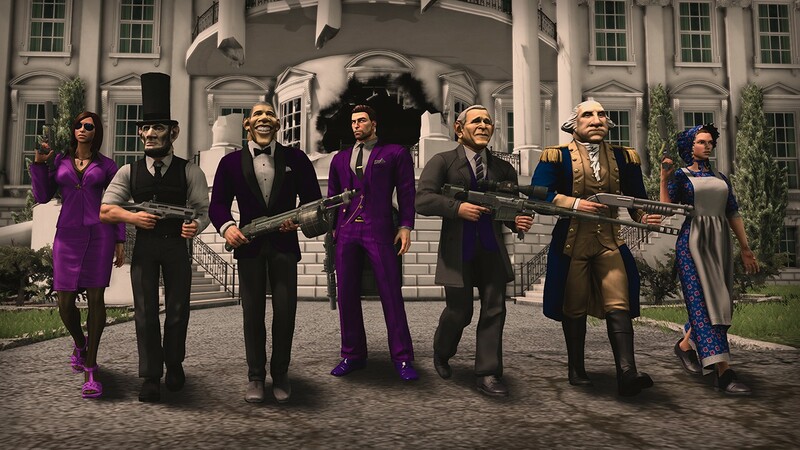 We had two new DLC packs arrive to Saints Row IV recently, featuring customizable costumes for our Saints characters. These two packs in the “From the White House to the Countryside" contain, arguably, some of the post polar opposite content from each other we’ve ever seen. 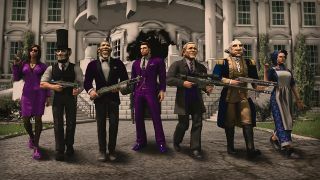 The first DLC, “Presidential Pack”, allows for players to wear a plethora of patriotic get-ups. Some masks of the most famous people in US history are included, such as George Washington and Abraham Lincoln, along with a “Betsy Ross” type of female attire are available. However, we now have the pleasure of being able to wear masks of more recent US presidents too: George W. Bush and President Barack Obama. Enough said. The second DLC, “Grass Roots Pack” gives players the opportunity to don clothing styles, weapons, and vehicles as far opposite as possible from what the Saints normally wear (overalls and all). Enter into rural USA mode with the special “Plunger Laucher” weapon, providing easy way to shut up people quickly, along with a truck sporting a complimentary pink flamingo! A double barrel shotgun and assault rifle will also be provided, rounding out the hick theme perfectly. Both of these DLC’s are only $2.99 each, so why not zip around the city as G. Dubbya with superpowers? 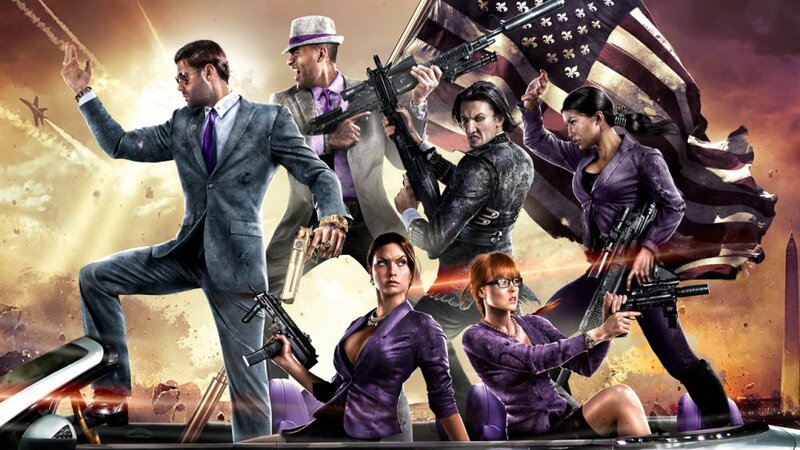 Also, be sure to check out our fairly recent co-op review of Saints Row IV! Page created in 0.5254 seconds.